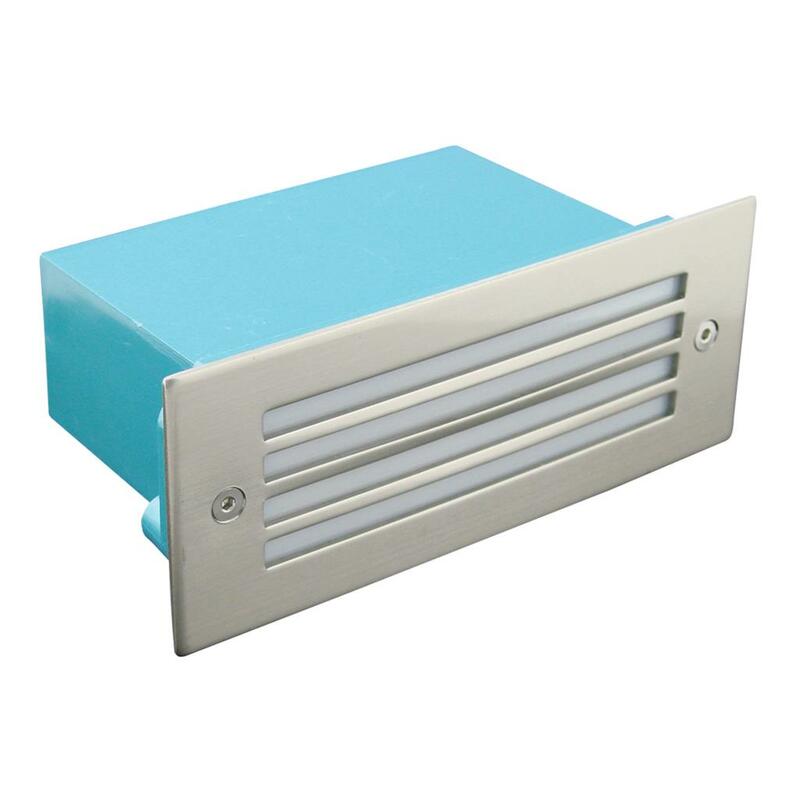 1.5W maxi rectangle recessed LED step light. IP54. Die-cast aluminium body, stainless steel grille fascia.